Hanoi (VNA) – The 2016 Long Bien Marathon is scheduled to take place in Hanoi on October 23 to raise funds for needy people in the capital’s Long Bien district. 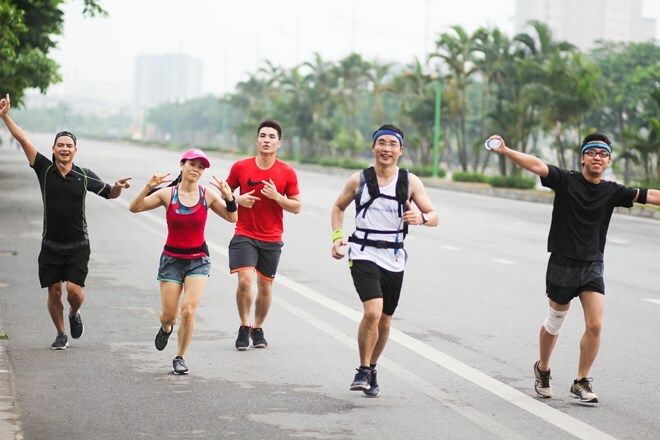 The non-profit running event is expected to attract 700 people from Hanoi and other cities and provinces such as Ho Chi Minh City, Da Nang and Hue. It also draws 100 international athletes from over 10 countries and territories like the US, the UK, Germany, France, Japan, the Republic of Korea, Malaysia and Indonesia. Amateur and professional runners will compete in four main categories: 42.2 km; 21.2 km; 10 km; and 5km. The oldest participant is 68-year-old Harald Sundal, while the youngest is four-year-old Tran Dai An, who will join 70 other children in the 5km race. Miss Vietnam 2006 Mai Phuong Thuy and UK Ambassador to Vietnam Giles Lever will also run in the event.